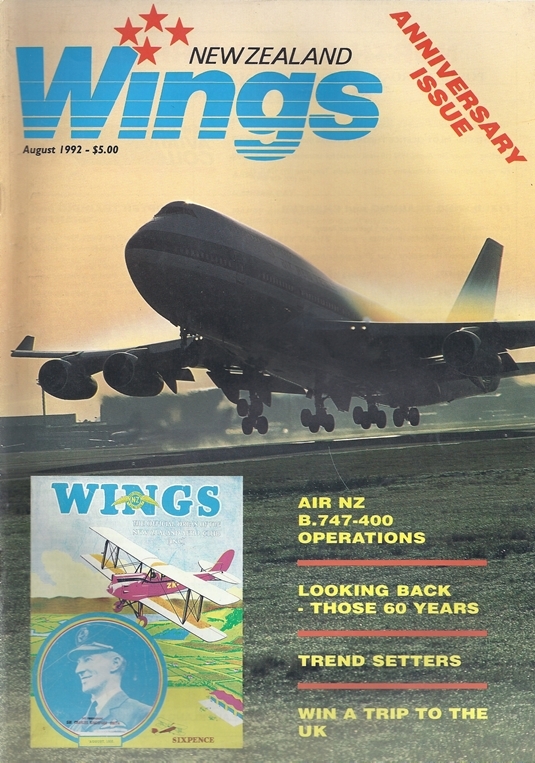 Guest Editorial By Don Weir, President RNZAC. Messages From The Minister, Chief Of Air Staff And Air New Zealand Chief Executive. Alan Vause Turns Back To The Very First Issue Of August 1932. And Then, In Leaps Of A Decade , Wings Traces The Changes Over Those Sixty Years. Peter Clark Goes Night Flying With No. 3 Squadron. Trevor Bland Introduces The Ilyushin Il-76, Newcomer For Pacific Express. Peter Cooper Reports On This Recent UK Airshow. Farewell To The Friendship. Disbanded Last Month Was The Three-Aircraft Natts Squadron - See News This Issue. Flight Sergeant Michael Provost Photograph, RNZAF Official.